Traditional canning methods like water baths and pressure cookers are not the only safe options for sealing filled jars. But alternative canning methods like microwave, dishwasher and oven canning have been deemed unreliable and unsafe by many food experts. Sterilized jars and lids are not enough to keep dangerous bacteria away during a long stay at room temperature in the pantry. Jars can be sealed and stored in a cold environment like the refrigerator for up to three months without using pressure or water bath canning techniques. 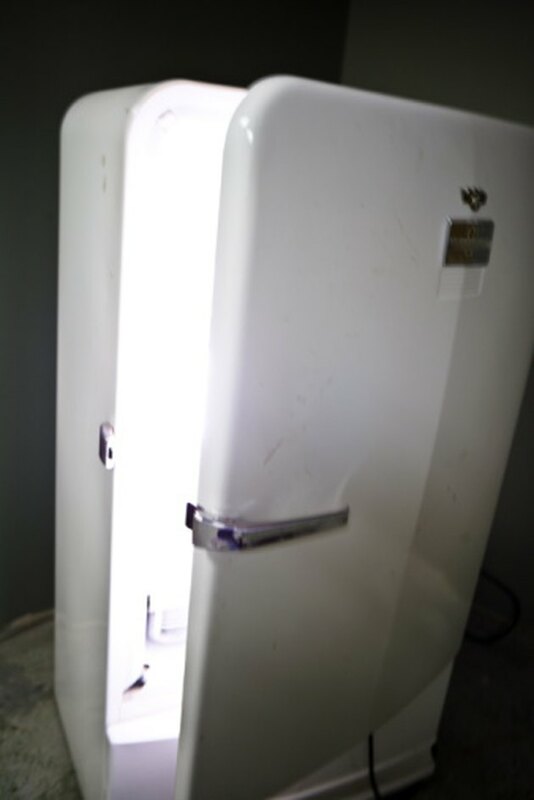 The refrigerator keeps the canned food cold to prevent bacterial contamination. Wash your hands and arms all the way up to the elbow. Powder-free and food-safe latex gloves can be worn for added protection against contamination. Cut the vegetable or fruit into chunks or slices until you have three cups. Smaller pieces absorb the brine flavor more quickly. Rinse the cut produce in a colander under cold running water. Hand-wash the jar, lid and ring with hot water and liquid dish soap. Load the jar into the bottom rack of the dishwasher and the lid and ring into the upper rack. Run the dishwasher on the sterilization setting to get the hottest water possible. Add the vinegar and your favorite spices to a nonreactive glass, ceramic or Teflon-lined saucepan. Heat the contents of the saucepan over medium-low heat until they nearly reach a boil. Pack the cut fruit or vegetable pieces into the sterilized jar. Place the wide-mouth funnel into the jar opening. Pour the simmering vinegar brine into the jar until the level is within ¼ inch of the rim. Clean a ½-inch diameter wood dowel with liquid dish soap and the hottest water you can stand. Rinse the dowel in hot water. Poke the dowel into the filled jar to release all the trapped air bubbles. Remove the funnel. Wipe the rim of the jar with a clean lint-free towel. Place the sterile lid on the jar, and secure it with the matching ring. Turn the filled jar upside-down. Set the inverted jar on a clean cloth. Wait for one hour while the contents cool. Move the jar of canned fruits or vegetables to the section of the refrigerator closest to the cold air inlet vent. Wait for at least 24 hours before opening the jar to enjoy the canned item. Leave the sealed jar in the refrigerator for a week for more intensely flavored canned food.